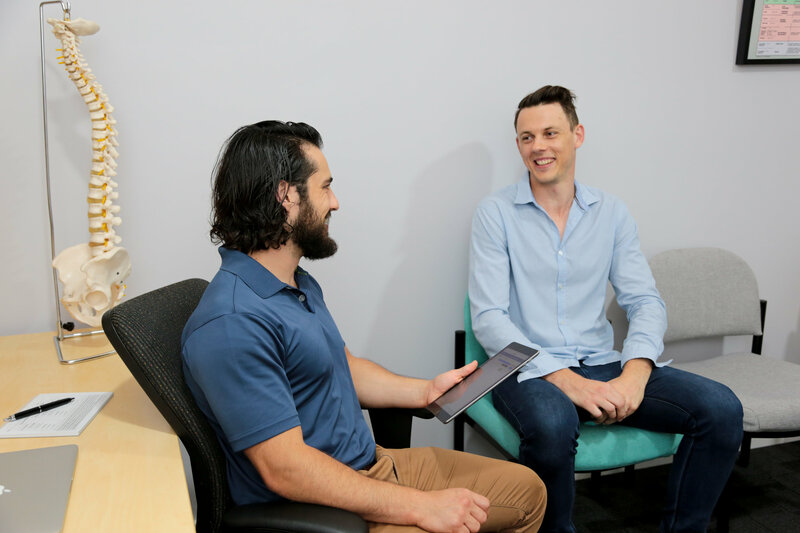 After being welcomed to HealthGuard Wellness Toowoomba – you will be required to complete a Health History (or the Child Health History Form, ages Newborn – 10 yrs ) and a Health Questionnaire (you can print this paperwork and complete prior to your visit). An Insight Scan will be conducted for those 5 years and older. The Insight Scan enables the Chiropractor to view data of what is happening functionally in your spine. A Complimentary Foot Scan will be taken, this is a non-invasive scan to assess the integrity of all three arches of the feet. By balancing your feet, Stabilising Orthotics help improve posture, enhance your body’s performance and efficiency, reduce pain and contribute to your total body wellness. An examination and assessment will be made by your Chiropractor and provided the findings indicate that it is safe to do so, treatment will be initiated on the first visit. We recommend that you allow 1 hour for the first appointment. This may be a little more or less depending on the examinations and testing required for each individual patient. On arrival, you will again be welcomed by our friendly team to the practice. At each visit you will be guided through a brief history and review with your chiropractor before any further care is provided be it chiropractic adjustments, NET Stress Relief or “the lot”! Most recommended products from each appointment can be collected from the front desk. Payment for your visit and any products is to be made at the end of each appointment. Your next appointment will be confirmed before you leave to continue your activities of the day. On completion of your initial program of care, a Spinal Scan and reassessment will be completed to help determine your progress. Further recommendations for ongoing care will be made including the opportunity to continue care in our HealthGuard® Wellness! program. We like to encourage our patients to consider ongoing care to help maintain and even further improve on their progress so that they can enjoy maximizing their level of health and wellbeing. Please give us a call today!